I came across a program called Profit Injector that claims it can help people make money online through YouTube videos. You may have seen the sales video and found the program to be an attractive opportunity that you can try this year, but you want to learn more about it before making your final decision. You have come to the right place because I will share with you in this Profit Injector review all the information I gathered about this program. 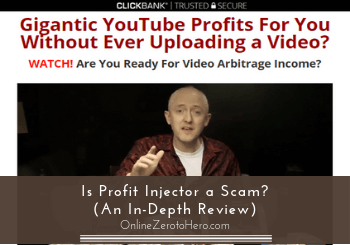 So, is Profit Injector a scam or a good opportunity to create a decent income online? You’ll soon be able to answer that question after reading my in-depth review. 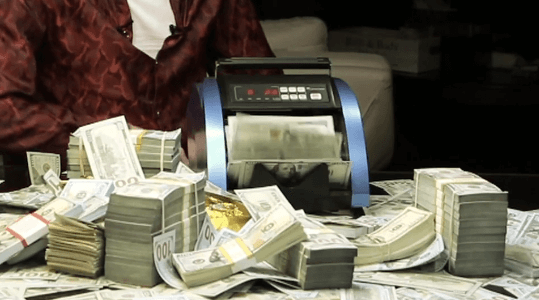 Profit Injector claims it can help people make money online through YouTube videos. It is created by Jamie Lewis, a seasoned online marketer who have already created several programs in the past. According to Jaime, this program is beginner-friendly and you’ll only need to work for 2 hours a day since you will be provided with automated software that will do most of the work for you. In my opinion, affiliate marketing is a legit way of making money online but you can’t make it if you’re going to rely on automated software. If you really want to create a decent income online through affiliate marketing, you’ll need to invest time, effort, and a bit of patience to succeed. That is why I don’t recommend this program because I found several red flags on its sales page that makes it a risky investment, in my opinion. It’s better to look for a more viable alternative on the web that can truly provide the outcome you’re looking for. What is Profit Injector and what does it offer? The first time I visited Profit Injector’s sales page, I was a bit skeptical. Especially when I saw Jamie Lewis (the creator of this program) using a money counter with bundles of cash all over his set. It seems like he is flaunting his millions to lure people to his program, which is a bit hilarious. 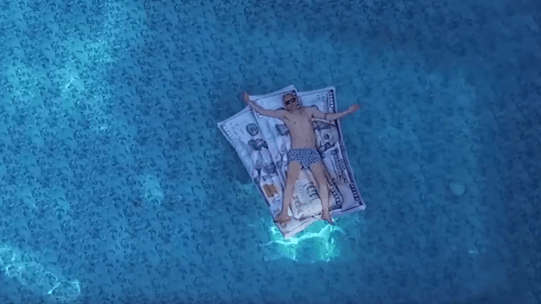 Jamie is flaunting his money on the set – it’s hilarious! I also reviewed another program from Jamie called Income League, which he created together with his close associates. Although most of Jamie’s sites are focused on hype, in my opinion, one thing I like about his sales page is it doesn’t contain outrageous income claims and fake testimonials. The sales video is presented by Jamie Lewis himself and not a freelancer impersonating the owner of a program, which is a good sign that this might not be another scam program out there. He also explains how his system can help you earn affiliate commissions from profitable YouTube videos, which makes his method sound very promising since you don’t need to spend a lot of money on paid ads because you’re going to put free ads on existing videos. Jamie also claims that you don’t need to set up those ads on YouTube because it takes too much time and it requires a bit of technical know-how on your part. According to him, you only need to invest 2 hours of work per day and some basic computer skills to succeed. He also requires his members to email him the results of their campaigns, so he knows they are really making money online. Based on the sales video, most people meet the requirements that Jamie set for this program, so does this mean that Profit Injector is the most viable way to make a full-time income online? Honestly, there are some things that I didn’t like on their sales video like showing videos and photos of how luxurious his life is etc. It feels superficial and is NOT a genuine way of presenting a program, in my opinion. Jamie showing his luxurious lifestyle. Although I’m not questioning his capacity to achieve that level of success but showing loads of money on his set and boasting his luxurious lifestyle is a bit too much for me. It seems like he is making an impression that you will acquire a fortune when you join his program. This is the very reason I wrote this review so I can present to you some of the red flags that I think you should know about. Red flags #1 – This program uses an automated system to make the whole process easy? There are several instances of Jamie referencing his secret app on the sales video and he makes it sound like this software will do everything for you, so you’ll rely on his app 100% of the way. In my opinion, a program that is based completely on automated tools will not prosper and there are risks involved in using these tools. If you’re still a beginner in affiliate marketing, you’ll need to invest time to learn and train yourself, so you’ll know how affiliate marketing works. But if there’s an app who can do the whole process for you, then you won’t be able to acquire the knowledge and skills needed to succeed in affiliate marketing. Overall, using an automated tool is NOT the best way to start your career in affiliate marketing, since you’ll rely more on software that might not work in the long run. Red flags #2 – Is this program beginner-friendly? According to Jaime, it’s easy to use his system and you’ll only need to work for 2 hours a day to earn the income that he promised on his video. Basically, Profit Injector will be focused on promoting affiliate offers on profitable YouTube videos. These are the common features of Profit Injector. This will require you to search for videos that are not yet monetized, reach out to its owners and cut a deal so they will let you post your affiliate link on the description of their video. When people click on your affiliate link and buy the products that you are promoting, you will earn commissions and some part of that commission will go to the owner of the video. Honestly, this is NOT something a beginner can do without proper training and it will take you more than 2 hours to learn everything you’ll need to do in your campaign. If you decide to purchase this program, you will be given access to a membership page, where you can download the guide on how this system works. According to Jamie, you will also get email swipes that contain the texts that you will use when you contact the owners of the videos on YouTube and get them to accept your deal. Based on my own research from other reviews, I found out that the training materials are quite good, but it’s not applicable for beginners since there’s not enough basic info on how to start an affiliate marketing career. In my opinion, it’s very important to know the basics first before you do the more complicated tasks like choosing a relevant affiliate product and finding the best affiliate program based on your own interests. Also, the idea about reaching out to owners of YouTube channels and make a deal with them might sound appealing but it will definitely not be easy, and in my opinion, you can expect to send A LOT of emails before you find people to work with. The reason for this is that to make it possible to make any money, you need to find videos that get decent traffic. Most people that have popular YouTube channels will already be well aware of how to monetize them. So why would they share with you? If they want to work with affiliate marketing, they can just post their own affiliate links and get all the commissions themselves. They are the ones creating the videos, doing the work, and getting the traffic. How easy do you think it will be to find people that will then basically just give you money by letting you post your links on their video? That is why I consider as a red flag and you’ll need to think about it when you’re planning to purchase this program. If you think that $37 is the only amount you’ll need to invest in this program, then you are wrong because after you pay for the initial fee, you’ll be greeted with 3 upsells.